Salivary Gland Infections in Dogs: “The digestive process starts in the mouth”. If you ever heard this saying then you probably already know the big role salivary glands play in helping your dog digest that big bowl of crunchy food you place in front of his nose every day. A dog has several salivary glands, the first one is right under what we call the “cheekbone” the second one is situated at the base of the ear-canal cartilage, and the third and fourth are placed right under the jaw. Most owners are unaware of these salivary glands until they start giving problems. As any gland in the dog’s body, salivary glands may as well be prone to particular conditions and infections. A ranula develops under the tongue as a swelling that may cause bleeding and problems chewing. A pharyngeal sialocele develops in the back of the mouth and could cause trouble breathing. A zygomatic sialocele develops right under the eye and may cause eye swelling. More often than not, a real cause may not be identified, however it appaears that trauma to the salivary glands may occur due to different reasons. Dogs that chew on sharp objects that splinter such as bones or sticks may easily develop a sialocele. In some cases dog fights, or car accidents may cause trauma. 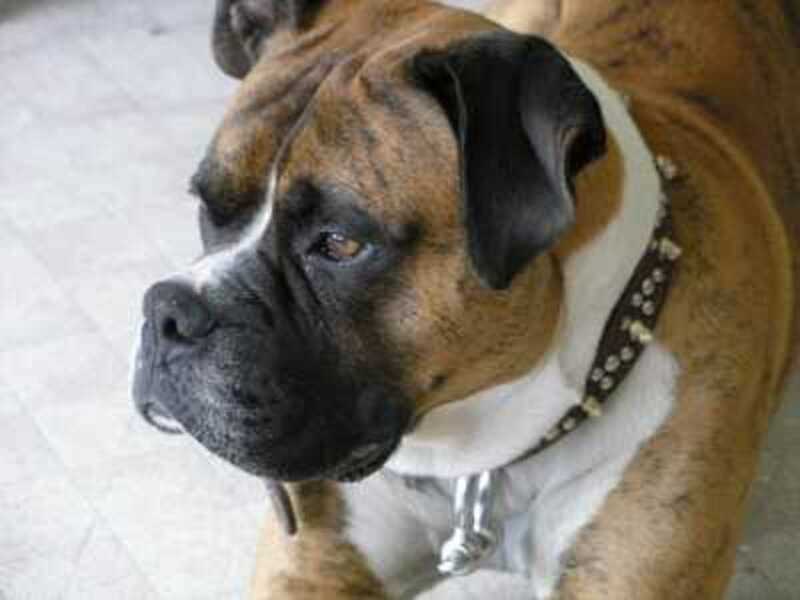 It has also been found that the use of choke collars may as well cause injury to the delicate salivary glands. In some cases, salivary stones may form, these are called “sialoliths” and they may obstruct the normal flow of saliva. Diagnosis of such swellings are confirmed by physical examination, the vet will palpate each gland looking for swelling and signs of infection.In some cases, where a lump has developed a procedure called “fine needle aspiration” will help the vet evaluate the swollen glands better and come to a proper diagnosis. In this case a small needle in inserted into the lump and fluid is extracted. The fluid is then sent to a lab and biopsied. Treatment usually consists of treating the underlying cause when found, in most cases, draining the sialocele and administering antibiotics when the area results infected is the preferred method of treatment. In some cases surgery is required to remove the gland (sialoadenectomy. Most dogs recover uneventfully from the surgery even though the area may take some time to heal. If your dog has always drooled profusely in front of his bowl of food very likely he is just proving to you the Pavlov theory. But if your dog suddenly starts drooling more than usual for no apparent reason, seeing the vet would be recommended. A prompt vet visit upon discovering trouble with the salivary glands will help the vet come to a proper diagnosis and start early treatment. Many dogs are seen late once they have developed a very large lump under their jaw and surgery in these cases results being much more complicated and invasive. I took my dog Maltese 7yrs old to the vet and was told he had a salivary duct blockage she did a needle asperation but i don’t think she sent it out. The gland is getting larger and has changed from soft to hard. I am worried. Vet said I would have to go to Boston and surgery would be over 4000. I am worried it obstructs his breathing . He snores and has been sticking his tongue out when relaxed. Any ideas? Awesome article…my dog is having some swelling around the ear/jowl area..took him to the vet and he mentioned the salvia gland issue,but also mentioned things a dog owner wouldn’t want to hear such as cancer..he was out on antibiotics..so next week were thinking of doing the needle aspiration…and take it from there.. Great article!!? Bella, I would suggest having the vet do a needle aspiration so to see what it is. It could be an infection and your dog just needs antibiotics. The Cerenia addresses only the vomiting, so the underlying cause is not really addressed. My dog has had this surgery 3 times, about every 8 months but it still keeps reoccurring! Without removing the glands totally we aren’t sure what too do. In looking for more detailed information on food, home care when swelling starts, bad breath etc. Great article. My Great Dane had the same problem. Painless swelling right jaw associated with drooling sometimes slightly tinged with blood. My vet put her on antibiotics and Dexona. Drooling has stopped but swelling remains. My vet tells me that the swelling will reduce but slowly. Your article helped in understanding that it is salivary gland infection. My vet called it lymph gland infection. Her appetite reduced and she stopped drinking water (I live in tropical India) but she drinks milk and is her active self. But she gets tired on long walks (2 KM). I am glad that I read a detailed post written about dog’s mouth problems. The excessive dog drooling often put dog owners at a place where they feel that having a dog is probably a mistake. Its best to keep check on dog’s oral health. Thank you for this article it has given me relief from worry. I have sent it to my son who I am sure will appreciate the information and time taken to produce this. Many many thanks!